I’m clinging to the extreme edge of a pullout bed while Taryn and our littlest Viggo snuggle together on the rest of it. We’re in Brittany, the wild and stormy northwest coast of France. It’s raining outside and I can’t sleep. 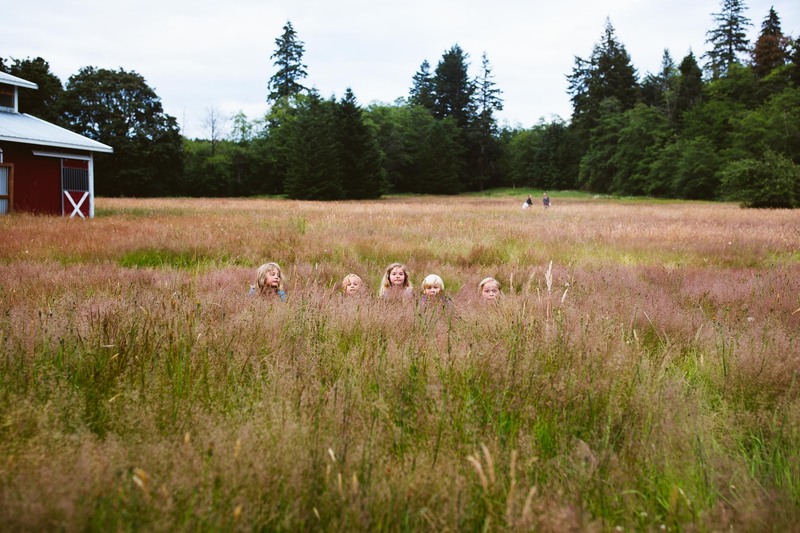 I shut my eyes and think about what life was like two months ago, when we lived in a big farmhouse on the gorgeous, green island of Vashon, when we had a car, and a job, and a handmade, organic, king size mattress. 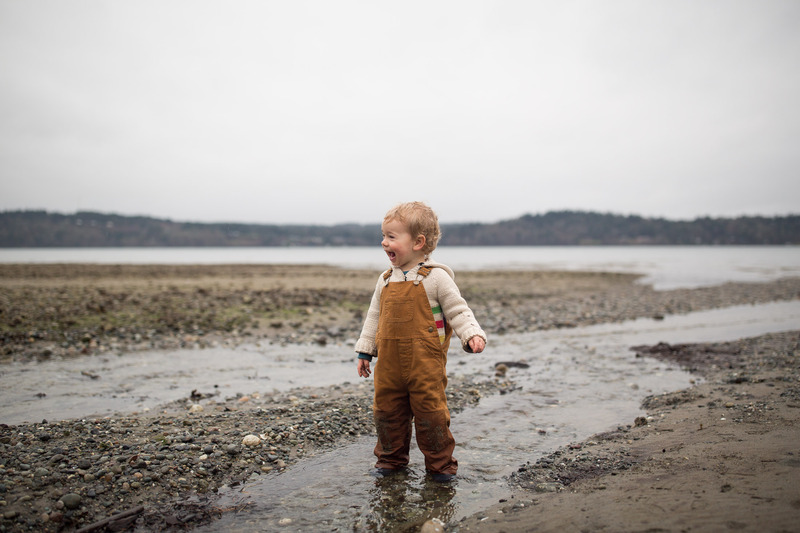 Life on Vashon, a small island near Seattle in the American Pacific Northwest, was about as sweet as it gets. I’m struggling to remember why we left. Taryn and I have mirrored histories, with early failed marriages (mine my high school sweetheart and hers a Hungarian professional cyclist with thighs I will never own) and years of wandering in our twenties. Our love blossomed when we met up in Paris and we returned there to have our firstborn, Matilda, the grand surprise. 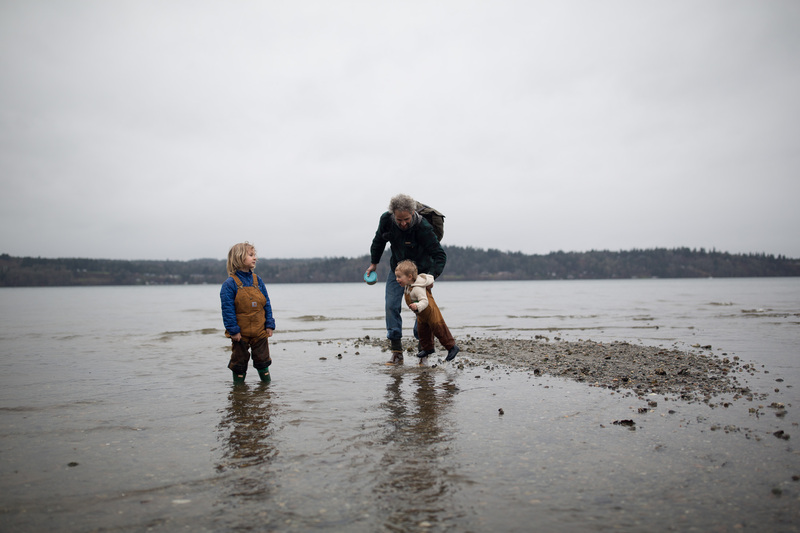 Soon, we came back to Seattle and started down the road that led to an island farm and a burger company. We jumped into life in the Northwest with all six of our feet, but couldn’t shake the feeling that this place, spectacular as it is, was temporary. We’d merely tasted the bigness of the world and we wanted to be out there in it. We would put our heads down and work, but our hearts were far away, on some street in a far off land we hadn’t yet seen. As the years passed and we added the boys we started laying what would be the groundwork for our departure. Quartier Collective, our tiny family travel company, took a few iterations as we worked out how to best improve travel for curious, thoughtful families. Early on we concluded the experience could be more rewarding and even easier if we were connecting with other families. A family with similar values and kids the same age could help us track down things like car seats and baby cribs, and guide us to what makes family life rewarding in their city, avoiding the cliches and tourist traps. We started searching for thoughtful, curious families in places we found interesting, then connecting with them and planning our travels around the links we made. And like any kind-of crazy idea, reaching out to complete strangers wasn’t without its stumbles. We had our share of awkward coffee dates and funny looks from people who didn’t really understand why we wanted to meet them. But more often we struck gold; remarkable families living in interesting and loving ways in all kinds of amazing places. Our Family Gatherings grew out of the idea of bringing families like this together, meeting their needs and setting them up to connect with each other and to use family as the key to unlocking the heart of a new and fascinating culture. So we started marching towards this, traveling with the purpose of discovering places where we could hold these week-long events and recording everything we found and every person we met. Back home on our little island we started feeling the pressure of the passing of time. Matilda was old enough for school, the weight of the constant clouds and rain was crushing Taryn. Seattle is an expensive place to live and it seemed like we were treading water financially, with some debt that seemed so hard to shake and a savings account that refused to grow. We started making a long term plan to leave, to hit the road and figure out how to build Quartier Collective into an actual business. 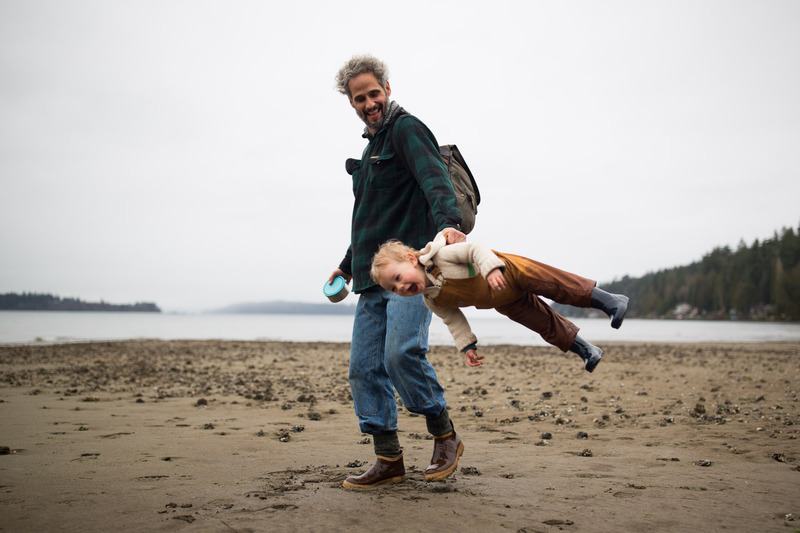 Life on the road, we rationalized, couldn’t be more expensive than life in Seattle, and we could raise our children to feel that bigness of the world and to develop the empathy and dynamism that accompanies it. Many families have a dream of some stretch of life on the road, or of working together or starting their own project based on the things they’re most passionate about. It’s no easy thing, though, to actually commit, to leave the job, sell the stuff… And it doesn’t get easier as the kids get older. Our vision was clear, but there were always so many reasons not to pull the trigger. Most of them were fear-based, of course. Not the fear of not having a home, or of the danger of new environments or being far from family. We somehow share a heightened tolerance for those concerns, rightly or wrongly. But fear of failure has always dogged us and frustrated our efforts. Our biggest fear, always, was that we would carry this dream and never actually do anything about it. Of all the ways I could fail as a father, showing my kids that I was too afraid to take a shot would be the biggest. Taryn’s favorite quote, “The problem is you think you have time”, was floating through our house for ages before we finally took the step. Then in April we decided to separate from my work, a small chain of organic burger joints I helped build in Seattle. Five minutes after I told Taryn the news were were laying the plans that put us here, in Brittany, researching for a Family Gathering. In July we sold nearly everything we owned and flew, one-way, to Paris. We’ll be in Europe until our first event in Morocco at the end of October. After that, Asia, or Latin America. We’re not sure when we’ll stop moving, or where, but for now we are living out of our suitcases and trying to get this concept off the ground, racing the end of our runway. We have a million things going on, arranging these gatherings, launching other pieces of our little family travel company, trying to keep the kids on track and planning our next stops. We have lots to learn and we need the curve to be steep. We’re hustling every day and every day there are tears from at least one of us. But we couldn’t be happier. I can complain, lying here on this pullout in this damp basement, about trying to sleep with Viggo’s foot in my face. Or i can remind myself that back on Vashon he slept in his own bed in his own room, far away, and that when he wakes up, hours before everyone else I’ll take him to see the Atlantic Ocean where we’ll chase each other among the boulders and feel the cold water washing us on a new shore. I’ll tell him we’re running down our dream, that we’re using our smarts and our hustle and trusting in the goodness of people and in our love as a family. We are no longer afraid. Gorgeous and honest. Love your brave sweet family of voyagers.